No pH Pens, Eqiuipment or Chemicals. Ideal for growers that have gained some experience and have had successful crops, and for growers graduating from the Hobbyist Level in the Bigger Yields Flowering System. To increase yield levels an average of 17% over the Hobbyist Level (as above), the bundle at the Expert Grower Level includes three additional products. These additional products will further increase root mass, improve disease resistance, stimulate nutrient cycling, nourish microbes, boost plant energy levels, and provide enhanced flavor and aromas in a heavier yield. 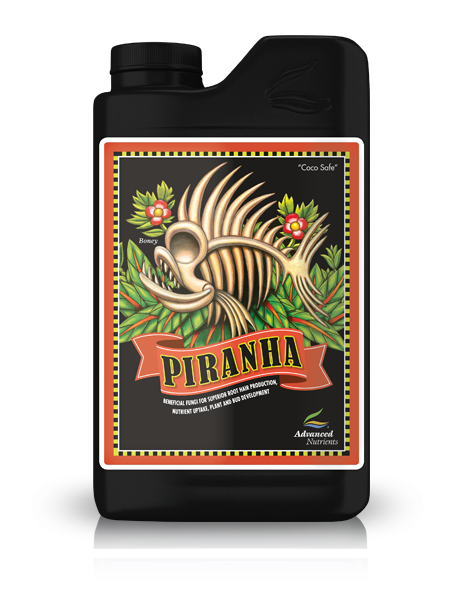 Piranha – to improve the health of the root zone and microbial species diversity in the substrate for bigger yields and better resistance to root diseases, the beneficial fungi in the liquid suspension of Piranha quickly colonize growing mediums and roots once applied. The proprietary Advanced Nutrients™ labs bred species of plant beneficial fungi include Trichoderma and Mycorrhizae, as well as many other species of fungi that were carefully selected to ensure the most effective interaction together for bigger yields. Piranha is engineered to work in harmony with the other species of beneficial bacteria, fungi and other products available in the different Bigger Yields Flowering System bundles. 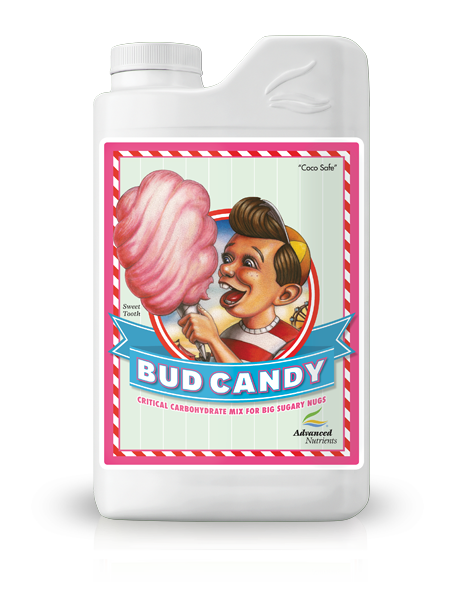 Bud Candy – creates sweeter tasting flavors and aromas in flowers and fruits by supplying a precise blend of carbohydrates, oligiosacharides, esters, polyphenolic compounds, vitamins and amino acids. The combined spectrum of ingredients from SweetLeaf and CarboLoad supplement the plant’s natural carbohydrate levels for better growth rates while helping the plant to develop more terpanoids that enhance flavors and aromas. Bud Candy will also help to supply beneficial microbes in the root zone with an energy source for rapid colonization and multiplication. 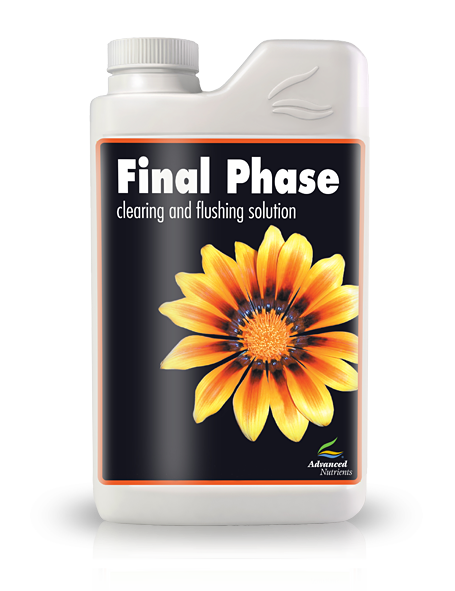 Final Phase – promotes softer tasting fruits and better smelling flowers by removing excess nutrients from growing mediums and the plant that can have a negative impact on the harvest. Final Phase breaks the ionic bond between excess nutrients and growing mediums while reducing the potentially damaging internal effects “flushing” can have on plants. During the final week before harvest, Final Phase is much more effective than plain water at flushing out the residues that can negatively affect the carbon to nitrogen ratio in plant material. Final Phase also helps to remove excess nutrient ions for those growers intending to reuse their growing mediums. The Bigger Yields Flowering System is guaranteed to give growers huge yields of the highest quality, without a lot of complicated mixing rates. 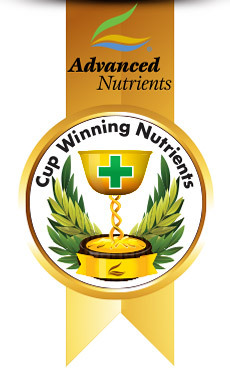 Simply put, the grower selects which of the bundled levels best suits their own skill level and garden, and can then leave the rest up to the proprietary pH Perfect Technology nutrient technologies incorporated into these revolutionary crop feeding nutrients. The feeding chart provided with each of the bundles, whether the grower is at the Hobbyist, Expert, Professional or Grand Master Grower Level has been developed and refined to give crops optimal nutrient levels and ratios for massive yields every time. Advanced Nutrients has developed the first-ever pH Perfect Technology nutrient system for crop feeding. By simply using the value added, combined formulations there are fewer bottles and easier mixing rates. Add 4 mL of base nutrients, and 2 mL of the additives per Liter, and that’s it. The pH of the solution will instantly correct itself into the optimal range when the components are mixed with water. The formulations contain a proprietary “smart” release of acid and alkaline molecules, that will correct the pH to optimum and keep it there. With the Bigger Yields Flowering System, nutrient uptake is unparalleled. Chelation is a process that makes nutrients more available to plants on a molecular level. The nutrients supplied to the crop will have the highest level of chelation available from any product in the marketplace, ensuring maximum nutrient uptake; under the widest range of growing conditions. Combining the pH Perfect Technology with an unsurpassed level of chelation ensures that the balanced ratios of the formulations used in the Bigger Yields Flowering System are constantly being delivered to and taken up by the plants root system. The formulas used take care of the crop from top to bottom, promoting huge root systems, thicker stems, bigger leaves and the hugest blooms. Advanced Nutrients has added value and simplified the use of the individual products in the system by creating 2-in-1 and even 5-in-1 products. For example, when growers add base nutrients, not only will they be adding balanced ratios of chelated macro and micro elements; they will be adding crop enhancers such as humates, fulvates, amino acids, and even a high quality non-ionic surfactant. These crop enhancers can help to improve the performance of any growing system, whether the grower likes to garden in dirt or produce hydroponically. Each of the growing levels offered gives progressively bigger yields; the grower selects the level that suits their skill level and needs. Why Should I Use The Bigger Yields Flowering System®, When I Already Have A Nutrient Program I Have Been Using? Using the Bigger Yields Flowering System, growers can get progressively bigger yields by moving up the levels in the nutrient bundles offered. Growers will be supplying their crop with optimal ratios and types of nutrients, vitamins, amino acids, carbohydrates and beneficial microorganisms in a simple to follow feeding program. It’s easy to mix too. Following the proven feeding chart included with your bundle, just add 4 mL per Liter of the base nutrients supplied and then 2 mL per Liter of the additives customized for and included in each grower bundle. Growers will no longer have to rely on pH monitoring equipment and adjusters. The Bigger Yields Flowering System uses a pH Perfect® Technology that will automatically create the optimal pH once all the components are added to water. That’s it. Mixing a complete full spectrum crop nutrient has never been easier. Once growers master a level, they can continue to increase the yields by moving up to the next level. Each level represents a complete bundled package including 2-in-1 and even 5-in-1 products that will progressively increase results as the grower progresses through the skill levels. Since All The Base Nutrients Are Recommended At 4 ml Per Liter With The Additives And Beneficials Being At 2 Ml Per Liter, Does This Mean There Is No Change In The Dosage Rates Through The Feeding Program? Getting the best yields and quality in your crops has never been easier. For ease of use the base nutrients are always applied at 4 mL per Liter and the additives at 2 mL per Liter. 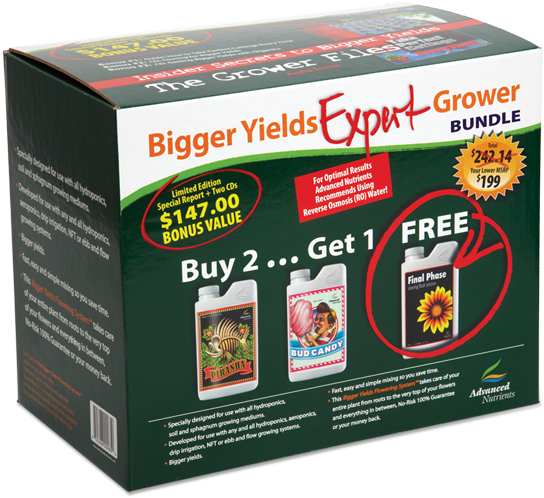 Some of the products contained in your grower level bundle will be used at different times, as indicated in the feeding chart supplied with your Bigger Yields Flowering System bundle. The individual and combined products in the Bigger Yields Flowering System are formulated to work in harmony with the different developmental stages plants go through during the bloom phase. The feeding chart supplied tells the grower exactly when to apply these products. To make things even easier, all growers need to do is apply them at either the prescribed 2 mL per Liter or 4 mL per Liter dosage rates. This is part of how we were able to make the Bigger Yields Flowering System pH Perfect Technology. Occasionally, experienced growers may vary the timing at which the products are applied versus the chart’s recommendations, for example when they are growing a longer flowering and exotic strain. However, the recommended rate of dosage for each of the products would remain the same. I Have Some Products Manufactured By Other Companies That I Have Been Using. Should I Add Them Along With The Products In The Bigger Yields Flowering System To Feed My Crop? Each of the grower level bundles available in the Bigger Yields Flowering System have been engineered to supply a totally complete and comprehensive nutrient formula to allow growers to harvest heavy weight crops in an easy to use feeding system. The products supplied all work in harmony together to produce outstanding results in any type of garden. There is no need to add other products to the mix. Adding other products into the mix, is adding variables that the system was not engineered to balance with the rest of the components supplied in the system. It is not advisable to add unknown variables to a proven and well formulated crop feeding system. If growers like to experiment, we recommend that they try the different grower level bundles that are offered in the Bigger Yields Flowering System. All of the bundles have been engineered to work together to produce incredible yields of high quality. I Have Used Other So-called “complete” Nutrient Systems From Other Manufacturers, And Was Getting Mediocre Results, At Best. How Can I Be Sure That The Bigger Yields Flowering System Is Going To Live Up To The Claims? Firstly, unlike the majority of companies calling themselves hydroponic “manufacturers”, Advanced Nutrients actually formulates, tests, and blends all of the products that we offer. A lot of our competitors are actually bottling down products from other suppliers, so they really don’t know exactly what they are selling to you. Because these companies haven’t made all of their own products like we do, there are inconsistencies from batch to batch, and sometimes a very different product is sold to you because they switched suppliers. How are these so called “manufacturers” going to be able to give you the best feeding program when they are not even 100% sure what’s in each of the products, and in what amounts? As a result of the fact that we make all of our own products, and the fact that we propagate and isolate our own strains of beneficial bacteria and fungi we can guarantee the way our products perform and interact with each other. So if you want to be 100% sure that all of the components that you are feeding to your valued crop will work together in harmony, choose the Bigger Yields Flowering System. We built it ourselves from the ground up. Even Though The Macro And Micro Elements In The Bigger Yields Flowering System Are Chelated, How Can You Be Sure They Will Remain Available To The Crop Without Ph Adjustments? The nutrient elements in the base fertilizer formulations are supplied in multiple forms of chelation, which is to say the nutrients are altered on a molecular level to be better and faster absorbed by roots. Not all chelates work the same in different growing conditions, so Advanced Nutrients has used multiple forms of chelates for individual elements that our studies have shown to be susceptible to lock-out using conventional fertilizer programs. The multiple forms of chelation remedy this common problem. Growers using the pH Perfect Technology nutrient technology will not have to worry about pH in their nutrient solutions, because the new formulas are able to adjust the pH to the optimal range automatically. Combining an optimal pH level with these cutting edge chelates has growers reporting back with a new standard in yield expectations. In fact, the chelation technology used is so effective, that nutrients would still remain available to plants in conditions that would not normally allow crops to grow at all. However, growers won’t need to worry about that because the formulas keep your pH in the optimal range at all times. I Noticed That The Bigger Yields Flowering System Is Bundled Together For Different Levels Of Growers. I Am Relatively New At Growing Under Lights Indoors, So Do I Have To Start At The Hobbyist Level? For newer growers and for growers who are accustomed to conventional fertilizer programs for their crops, we recommend starting out at the Hobbyist Level, which provides outstanding yields of quality in an easy to follow package. 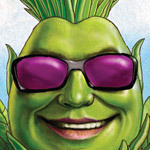 There are different grower level bundles available, each offering progressively larger yields. Once you master the level you are on, you may choose to move up a level to increase your crop yield potential. Each time a grower moves up a level, they can be confident that the level they move up to has been engineered to work with their existing level. This affords growers the opportunity to “stack” bigger yields onto the level they have familiarized their cropping practices with. A lot of growers will choose their starter level based on their basic understanding of their crop and their level of experience using a variety of nutrients and additives. The more the grower knows about their particular crop and how to provide optimal environmental conditions for it, the greater the impact from your choice of level available in the Bigger Yields Flowering System they can have. I Like To Grow Some Of My Plants In Soil And Some In A Hydroponics System, What Do I Have To Do Different With The Products In The Bigger Yields Flowering System For Each Type Of Growing Method? In short, growers don’t have to mix the nutrients different at all to get the same great results. 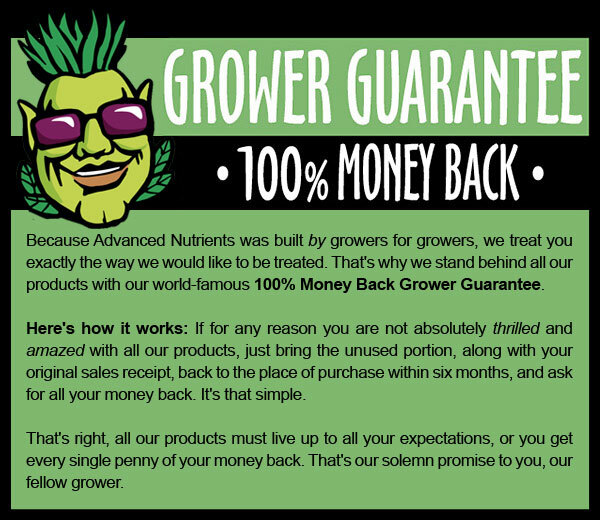 Advanced Nutrients made the Bigger Yields Flowering System to make getting huge yields of high quality consistent and easy, no matter what kind of growing system is used. Growers can use the Bigger Yields Flowering System in any kind of set-up because of the precise balance of nutrient ratios, the pH Perfect Technology, and the level of chelation in the base nutrient formulas. The base nutrients also contain a non-ionic wetting surfactant, an amino acid complex, fulvates and humates that will improve the performance of any type of growing system from hydroponics to soil, whether the grower is a do it – yourselfer or grows with the latest factory technologies. Learning To Grow, I Was Always Taught That Adjusting My Ph Was So Important In Getting Bigger Yields Using Premium Nutrients, Additives And Beneficials. Are The Products In The Bigger Yields Flowering System Saying That Ph Is No Longer Important For Growth? On the contrary, Advanced Nutrients recognizes the importance for growers to maintain an optimal pH to ensure crops can grow at the best rates their genetics allow. The technologies integrated into the Bigger Yields Flowering System maintain nutrient solutions at optimal pH levels all on their own, without expensive monitors and pH adjusters. When growers add the base nutrients to their water, the formula will automatically correct the solution to the optimal pH range by releasing just the right amount of acid or alkaline molecules into the solution. On a chemical level, this is achieved in a two-step process. First, the adjusters in the formula correct the pH of the water, and then in a second step, create a pH boundary so that pH levels cannot drift out of the optimal range. So if the grower’s water supply is pH 4.5 to 8.5 to start with, as most water is, the pH Perfect Technology will take the work, time and expense out of constantly adjusting their nutrient solution pH. This affords the grower to focus on other areas in producing their crop, as the nutrients will always be optimal and available for absorption by the crop. Some Products Like Big Bud, Piranha And Tarantula, Which I Would Just Never Consider Growing Without Are Now In Liquid Forms In The Bigger Yields Flowering System. Do They Still Have For Example, The Same Aggressive Trichoderma Species Of Fungi For My Roots That Helped My Blooms To Get So Huge? Some of our products have been available in powdered forms. Advanced Nutrients engineered the active ingredients from the powdered formulations into liquid forms that are easier to measure and dissolve in the Bigger Yields Flowering System. All additives in the system are used at a rate of 2 mL per Liter, so growers don’t have to remember or calculate separate amounts for each product they add. When diluted, the nutrients and additives will supply all of the select ingredients to crops and in the same ratios as they did before with the powdered formulations they are accustomed to weighing individually and diluting. If growers liked to foliar apply these products previously from time to time, they can still do so, because the ingredients and ratios are un-changed; they are just easier to measure and apply. However, following the Bigger Yields Flowering System, there is no need to foliar apply any nutrients, because the plants are receiving maximum nutrition in the correct balance through the roots.